Chilopsis linearis, Family Bigonia ( Bignoniaceae ), Desert Willow. 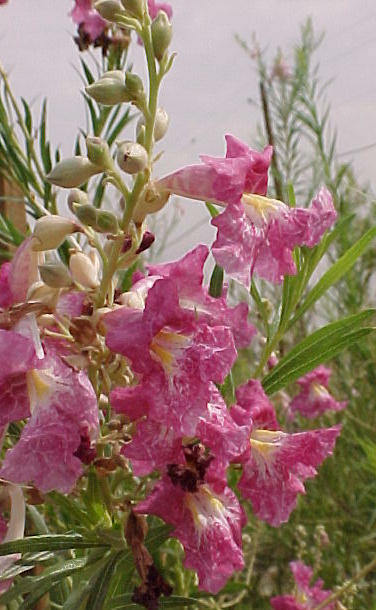 Also called Sweet Desert Willow. 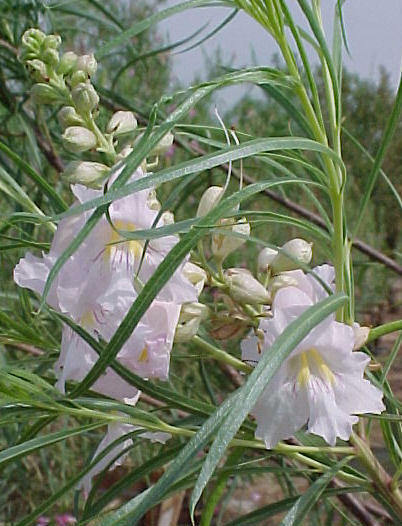 The desert willow tree is a large deciduous shrub to small tree. Its long narrow leaves are willow-like. Its flowers are fragrant, pink to lavender. They appear in May and keep blooming until late September or frost. Native near the waterways in the Mojave Desert. It likes moderate water and sun. Does best in the desert. It is easy to grow for landscaping. Though its many common names refer to it as a willow, it is not related to the willow species. 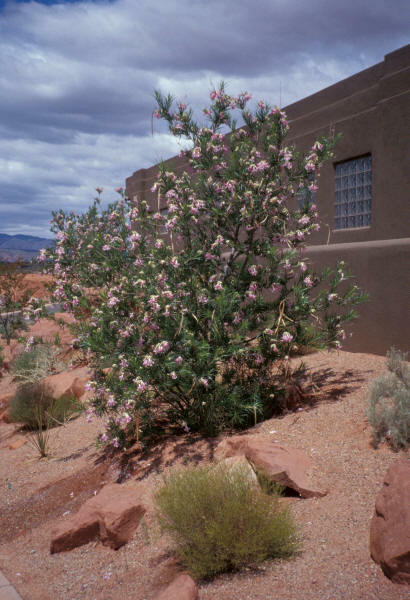 Historically the desert willow has been used by the Pima to thatch roofs and for the enjoyment of the pleasant fragrance produced by the plant. Plant desert willow tree in full sun or partial shade and in well-drained soil. For the first year, water deeply every five to seven days. Water established desert willow trees every two weeks in the summer and every month in the winter. Prune in spring just as leaves emerge to remove winter damage or have a tree service Roanoke instead. To maintain a single trunk, prune the lowest limbs every spring until the tree is as tall as you want it. 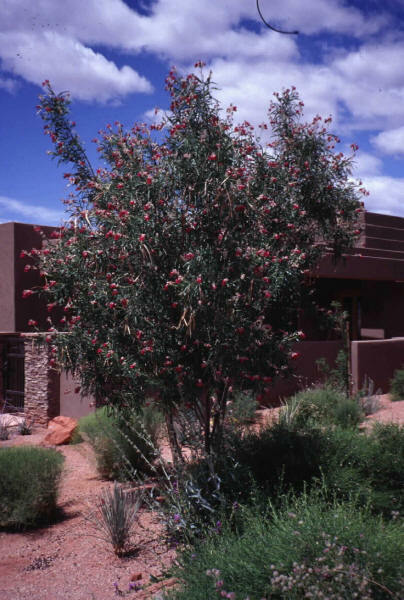 Most desert willow trees produce seedpods that may be safely removed anytime. Height: Height to about 30 feet. About 27 feet wide. attractive white, lavender or pink colors with distinctive yellow throat and venation, they bloom strongest in May-June then sporadically until frost or cold weather. Blooming Time: May to September. Leaves: Willow like leaves. Simple, solitary, linear, 1/2-3in long, 1/2 to 1/4in wide. Bark: Gray brown, lighter colored cracks and splits, later develops shallow furrows and becomes scaly. Twig: Slender, initially green turning gray brown, buds are very small. Seed Pod: 4-9in long, they cling on branches throughout the winter. Elevation: 0 – 5000 Feet. Habitat: Found along washes throughout SW US and Mexico, Landscape Plant.